The course is designed for children between three and seven years of age. Please come to the lesson five to ten minutes in advance. At Centrum rodinných aktivit Fontána (Fontána Family Activities Centre, former DM Juventus). 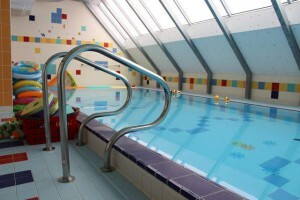 Clean shoes to change into – without them visitors will not be allowed to enter the swimming pool. A small playroom and a kitchenette is available to participants and those who accompany them.